Link Lock - Grip N Rip Racing LLC. 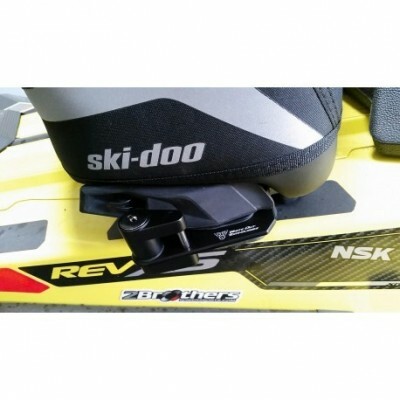 The Link Lock offers a convenient means of securing your Ski-doo™ LinQ™ accessories to your sled. Designed with simplicity in mind, the Link Lock attaches quickly and can be used with nearly every Linq™ product. 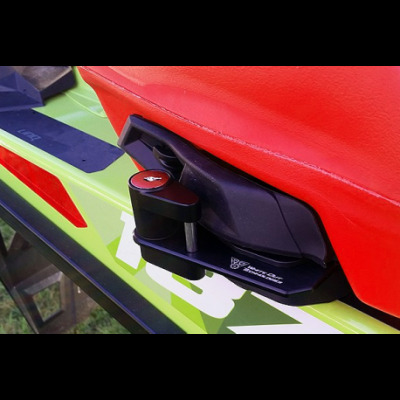 In addition to deterring would-be thieves the Link Lock will ensure your Linq™ product remains attached to the sled while riding. Our product was designed and tested to be compact and rigid to avoid unwanted vibration of the lock. 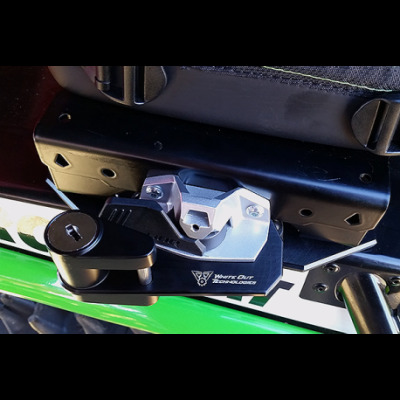 Simply clamp the Link Lock plate in place when attaching your Linq™ accessory, attach the lock to the plate and you are ready to go! No drilling required. Keys can be paired. Include in your comments that you want two sets that are paired with the same key and order two sets. Universal product! If you want the lock but don't have a Ski-Doo just buy the adapta link which is sold separately and you can use this lock.